I’ll be honest, Windows Phone app development is stagnant. As I get more and more excited for Windows Universal Apps that will run across platforms, I don’t often enough see the little icon indicating that the app I’m using is future proof and ready for Windows 10 Mobile, or just to use it on Windows 10 desktops. But that can’t stop me from using my phone in the ways I need it. After recently migrating to a Lumia 640, I went to reinstall an app I had previously suggested (a very simple Ping utility) which has gone missing! So now I have found a new app to help me with some day to day Network testing. Network Tools, a simply named app from TwinTaps, has proved to be a wonderful tool to carry in my pocket. With support for everything from WHOIS, to Ping, to NSLookup, and even the ability to check the IP, both local (such as 192.168.x.x) and public (like IPChicken or similar websites! 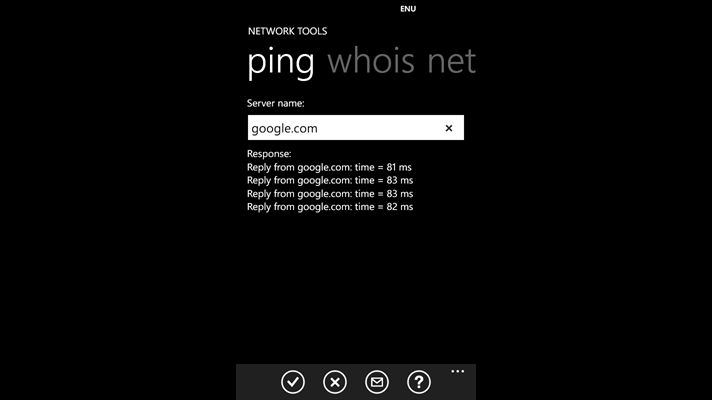 ), I find that Network Tools might just be one of the most under appreciated apps available for the Windows Phone. It’s very impressive, and I certainly hope it gets updated and is available when Windows 10 Mobile launches in the coming weeks and months. A few weeks ago, I wrote a review on Sprint.com for a phone I picked up in August. 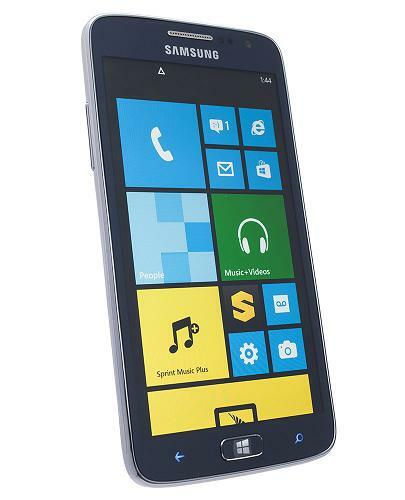 The Samsung ATIV S Neo. Unfortunately, the phone has a few issues – and Sprint’s customer service isn’t going to help you fix them. I think this should be known to potential customers. Unfortunately, I received an email stating that my review would not be published until I removed my complaints about Sprint’s customer service. Customer Service is part of the problem with this phone. Not the individual agents – they care, I know they do. The problem is that they aren’t being informed of a much wider issue, and all it does is frustrate those of us with ongoing issues! Below, I have decided to post my entire, uncensored review of Sprint’s Samsung ATIV S Neo. Enjoy. The downside seems to be a known issue with Windows Phone 8 that Spring and Microsoft have refused to officially acknowledge and tell us whether or not a fix is on the way. The overwhelming majority of WP8 users (both this Samsung model and the HTC model) are reporting that the voicemail indicator does not work. You have no idea that you have a voicemail until you actually force yourself to manually call in and listen – hoping “there are no new messages” is all you hear. This is a massive frustration we have brought to Sprint’s attention in the support forums, and they try to go through troubleshooting steps with you each time, as though it is a problem that can be resolved on the headset when it appears that THOUSANDS of WP8 handsets have the issue. Windows Phone 7 had no such problem, and I’ve strongly considered going back to my HTC Arrive because of this. The phone ITSELF, though, is amazing. The hardware design is beautiful, it’s nearly identical to the Galaxy S4. The processor and memory make for one of the fastest WP8 devices you can buy, the screen supports beautiful 720p resolution, and although it’s no Lumia 1020, it takes beautiful pictures and video, although I do find the flash to be slightly off which can lead to difficulty when trying to use something like the Chase bank app’s Quick Deposit feature where you need to photograph checks. I don’t buy cases for my phones, and even riding in my pocket with change and other items, the back and screen of the phone are scratch free and still beautiful to look at. The large screen can make the phone a bit wide for some peoples hands, mine included, but I don’t mind the size when the image quality is just SO good. Svpply.com calls itself “a curated collection of the world’s best products and stores.” A division of eBay, Inc., Svpply strives to have the same “pinterest-like” effect on its members, while specifically targetting shoppers. Want clothing? Just click and view popular items. Need something to satisfy your latest ’bout of techno-lust? Here is a selection of tablets. Looking to impress the unimpressible hipster next door? Someone on Etsy is selling their Polaroid camera collection! 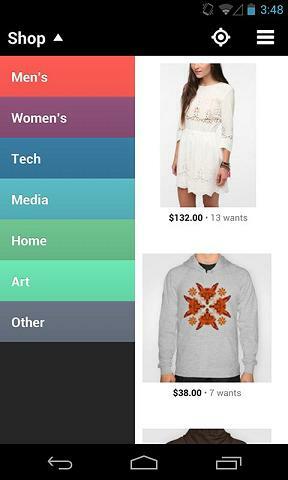 The more “wants” an item gets, the faster it ranks up and shows up higher in the list of curated items, and the more you use Svpply the more it learns your tastes and preferences as well. And what better way to use it a lot than by downloading the Svpply app for Android. It’s an attractive app and in my experience was very smooth. It has a clean interface and doesn’t throw too much at you at one time. The Svpply app for Android isn’t a normal choice for me, but I wanted to make sure others knew about it. Everybody seemed pretty excited about this news, so I figured, why not make it my app pick of the week? The official YouTube app is back on Windows Phone! 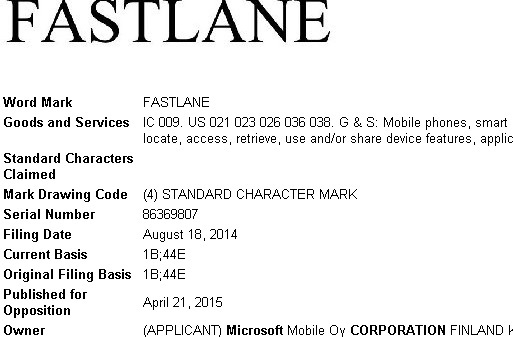 Now, that doesn’t make it easy to find, however, because Microsoft allows multiple apps to have the same name. To make it worse, nearly everyone who makes their own YouTube app uses the same logo. But luckily, I have the URL you need. You can get the official YouTube app from Microsoft on the Windows Phone Marketplace. After a long, drawn out battle with Google, the app is back on Windows Phone, and allows great Windows Phone features like pinning of Channels or Videos as Live Tiles. The app also includes full channel management features, Kid’s Corner, and even the ability to upload videos directly from your phone and share them to social networks. 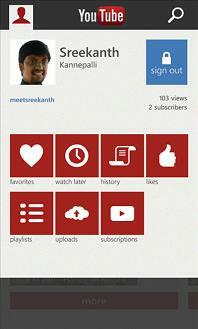 Go download the official YouTube for Windows Phone app, and enjoy! Okay, sure, not every app that everyone is buzzing about is available on Windows Phone. But Microsoft’s Where’s My App? app intends to help people realize that the Windows Phone platform isn’t as desolate as it is made out to be. Where’s My App? show cases the most popular iOS and Android apps, and tells you whether or not they are available on Windows Phone. If they aren’t, it will give you a useful hint to let you know if the app is in development, or if there are 3rd party apps that can provide the same or similar functionality. Are you looking for Yahoo! Fantasy Sports apps? What bout Chase Bank Mobile? Need a substitute for Instagram? Check out #2InstaWithMassiveLove! This app will ease the transitional pain of coming to Windows Phone, were the phone is so much more than just the apps installed on it. So be sure to use Where’s My App? and give Windows Phone a fair shake. If you saw the introduction to iOS 7 for the iPhone this week, and though that the 3D effect on the wallpaper was about the coolest part of the whole presentation, well then color yourself lucky, my Android toting friends. There really is an app for that. And it’s on Android. 3D Image Live Wallpaper costs $1.60, and for that very reasonable price you can use several attractive backgrounds, or a photo of your own, as well as adjust the sensitivity or several other settings to get this great parallax effect from your Android’s home screen. Posted in AppsLeave a Comment on Vectrex games on iPad and iPhone! It’s true, Windows 8 is still lacking a little bit in the apps department. But when awesome apps that do what you need them to do come to Windows 8, and they’re free, they deserve a little attention. Now, I know, kiddies, it’s not Instagram, but Adobe Photoshop Express has been released for the Windows 8 Store. You can use great features to clean up your photos quckly, save them, and share them from within the app. It’s got a lot of built in filters, what this app calls Looks. Lots of very responsive and simple to use sliders for adjusting brightness, contrast, color saturation, hue, and all of those usual photo-editing knobs you can twist and turn all day long. 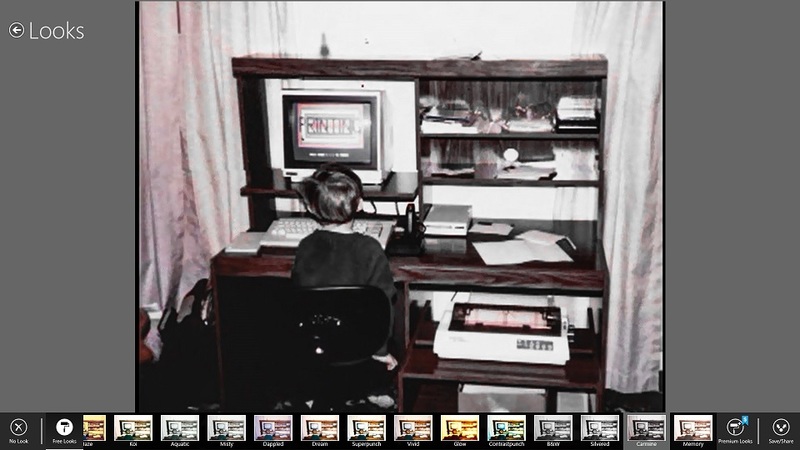 The picture above is a scanned in photo from the 80’s, it’s me at around age 3 or 4 – I applied one of hte Looks that it shows below and viola, I could put this bad boy on the internet and look just as hip as the cool kids. Alright, so it’s not quite as fancy as you might like, but you’re getting top level software, the pieces you need, and you’re getting them for free. 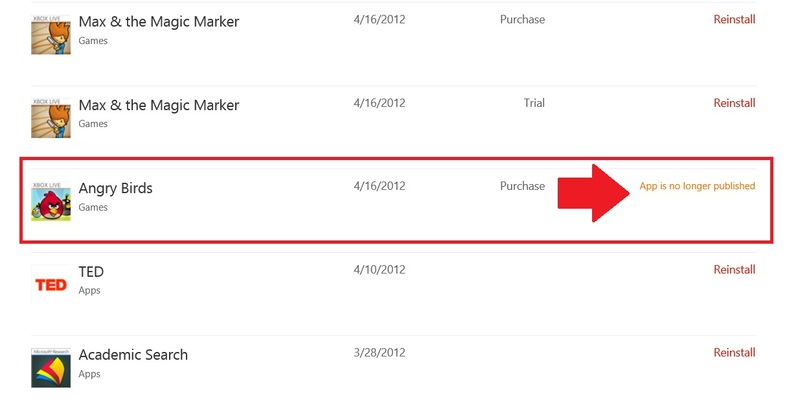 It’s simple to use and a great addition to the Windows 8 Store catalog. Go ahead and download Adobe Photoshop Express. 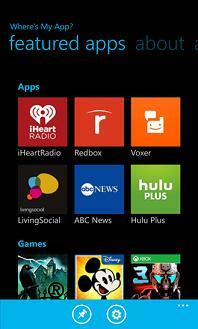 Paid Windows Phone apps missing! Skip forward to the weekend, I couldn’t find my phone in the last few places I had been, as a security measure (and since I had “Find my Phone” disabled), I connected to the corporate Exchange server my employer runs and sent a remote wipe command to my phone. The good news is, it worked. The bad news? I literally found my phone less than a minute after the wipe. Alright, fine, my mistake. So I started reinstalling apps. Come to Angry Birds. An app which I had purchased while it was on sale for 99 cents. Alright, so I can’t find it in the Marketplace, but if there’s one thing I learned from Xbox Live, you can use your download history to reinstall games. So I find the Windows Phone Purchase History page and click “more” in the lower right until I find my Angry Birds purchase. Are… you… kidding. It’s gone. I can’t get it. This isn’t some questionable app using copyrighted IP that has been pulled from the Marketplace. This is Microsoft’s official release of Angry Birds. An app which I had paid for. Don’t try to tell me that I can switch to the free version. I’m an Achievement addict who lives by Xbox Live integration. It was one of the biggest features, it was a selling point for Windows Phone. And if you’re going to pull the app from the marketplace for future purchases, fine – but to remove the app altogether so that those of us who bought it can’t reinstall it? The free version is not a substitute. I usually talk about apps, but today I’ve got nothing but frustration. Windows Phone is the 3rd place platform. Having not learned a single lesson from the Xbox Platform and how to manage apps after licensing expires, Windows Phone is going to remain the 3rd place platform. I’m trying my best to wait for a Windows Phone 8 on Sprint, I want to be deeply embedded in the Microsoft camp. But every time I turn around Microsoft is going something else to ruin this for me. Posted in AppsLeave a Comment on Paid Windows Phone apps missing!